Peak leaf peeping season is just around the corner in Albany County! The temperatures are beginning to cool and the world is slowly transforming into vibrant shades of yellow, red and orange. We&apos;ve rounded up a few of the top leaf-peeping spots in Albany County to view brilliant displays of fall foliage. 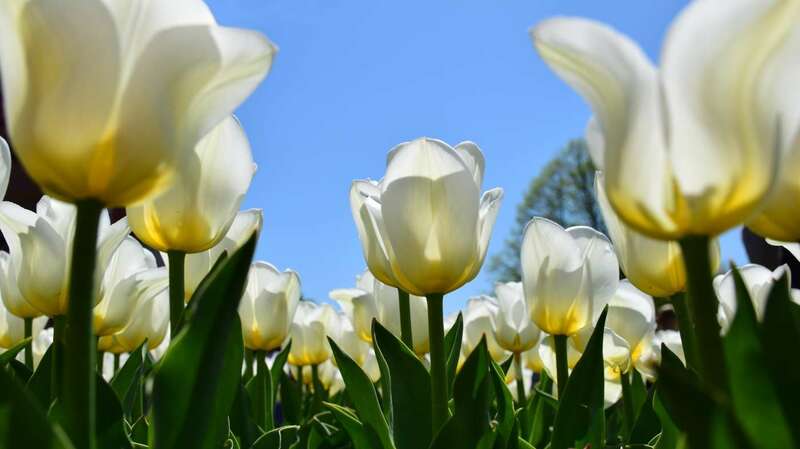 Grab your camera and visit these photo-worthy spots over the next few weeks. Find your urban escape with a serene stroll through Albany&apos;s Washington Park. Once the season begins to change, the park&apos;s winding paths transform into a blanket of vivid fall shades. Snap photos while crossing the bridge over Washington Park Lake, or relax on a bench to soak up the scenic views. Once you&apos;ve finished exploring the urban park, venture out to the Center Square neighborhood to see the charming streets and historic homes decorated in fall hues. 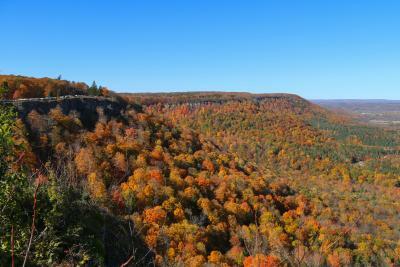 John Boyd Thacher State Park is possibly the most iconic spot in Albany County for fall foliage views. After a colorful drive up to the top of the Helderberg Escarpment, leaf peepers will be rewarded with breathtaking panoramic views of the Hudson-Mohawk Valleys and the Adirondack and Green Mountains draped in leaves of red, orange and yellow. 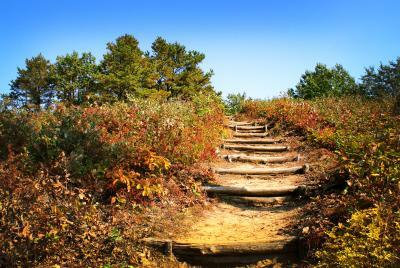 Stop at one of the scenic overlooks to snap a few photos, or hike the popular Indian Ladder Trail to see waterfalls and bright pops of color. The Albany Pine Bush Preserve is a globally rare ecosystem, so it is a unique spot to view fall scenery. The preserve has nearly 18 miles of trails to explore with many of the paths snaking through woodland passages that transform into fall hues. Plus, the Pine Bush offers hiking, biking, fishing, canoeing and other outdoor adventures, making it an ideal spot for adventure seekers to take in the Fall colors. 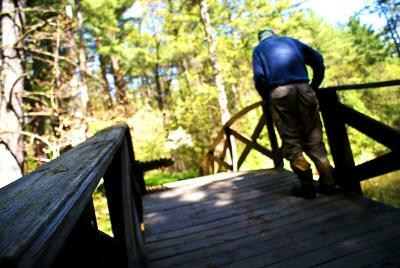 For a brilliant display of fall foliage, venture to the Pine Hollow Arboretum in Slingerlands. Explore 25-acres of walking trails to see beautiful ponds, unique trees and shrubs and other natural wonders. 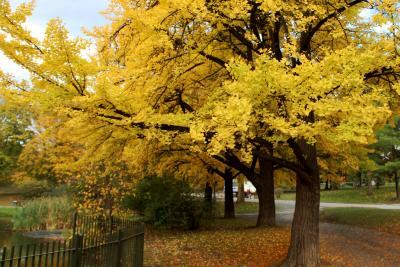 Fall is one of the best times of year to explore the arboretum as the trees are a tapestry of unforgettable colors. The arboretum is a hidden gem in Albany County! 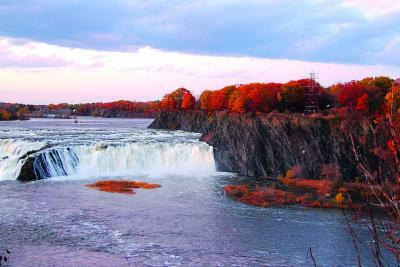 Marvel at Cohoes Falls, the second largest waterfall in New York State, while enjoying the autumn leaves at Falls View Park. The waterfall measures roughly 1,000 feet across and up to 90 feet high, creating a magnificent sight. Falls View Park offers a picture perfect scene for photographs with the rushing waterfall accented by vibrant fall colors.